When the school year rolls around, switching from pool to school means finding simpler ways to kick off the day. 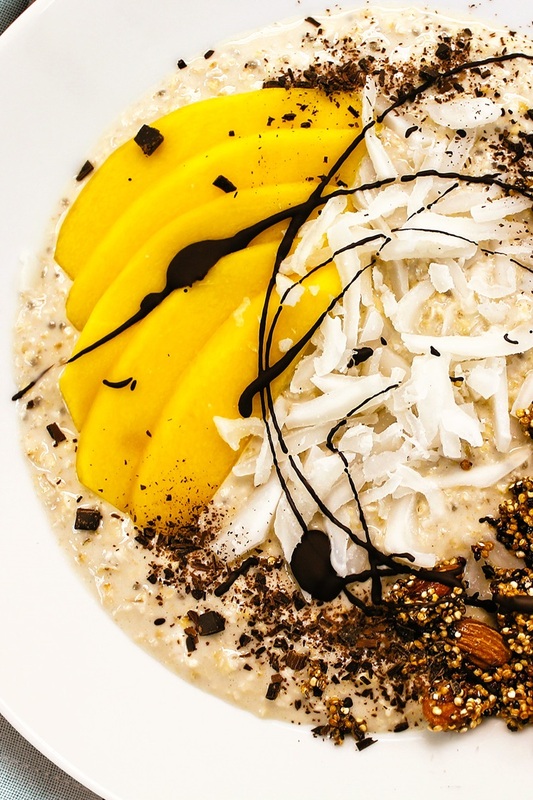 These easy overnight oats offer a fast and delicious solution that’s also quite nutritious! These easy overnight oats are topped with a quick quinoa crumble that piles on another dose of fiber, protein, and healthy fats. You can actually bake a larger batch of the crumble, and keep it in an airtight container on the counter. Although it will keep for quite a while, I usually try to limit room temperature storage to 1 or 2 weeks. Then I freeze leftovers in plastic freezer bags for optimum freshness. The natural oils in grains and nuts can cause them to go rancid and taste “off” if stored in a warm climate for too long. 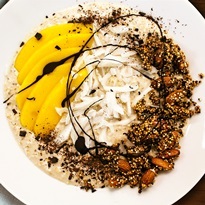 The original recipe for these easy overnight oats uses mango, as pictured. But we also like this breakfast with fresh berries. And I might even skip the fruit if we don’t have any on hand. 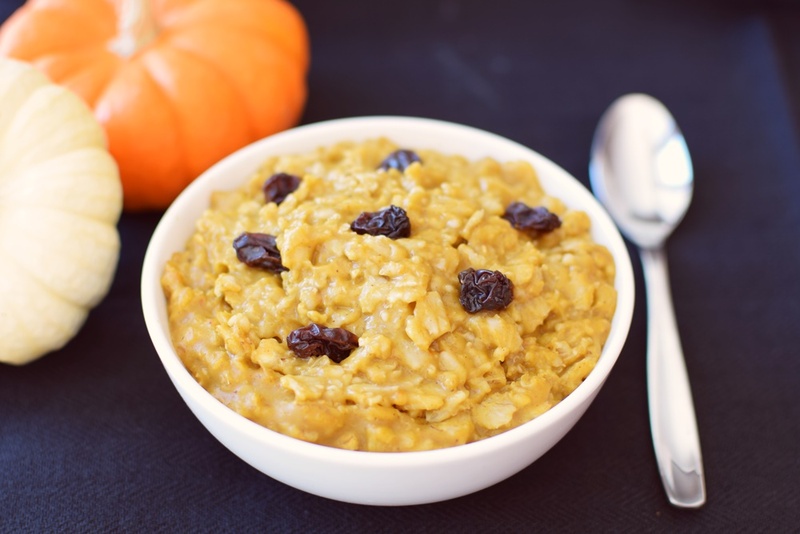 This easy overnight oats recipe with photo was shared with us by aldi.us. 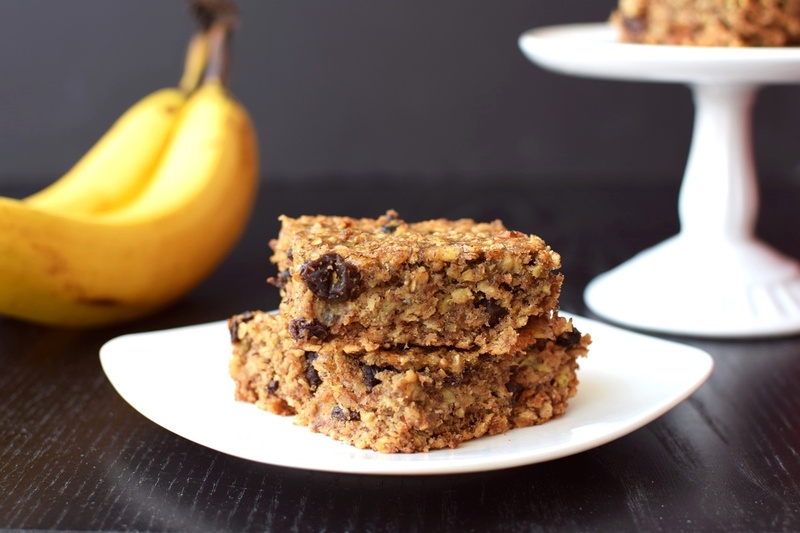 By ingredients, this recipe is dairy-free / non-dairy, egg-free, gluten-free, peanut-free, soy-free, plant-based, optionally vegan, and vegetarian. For a nut-free quinoa crumble, simply substitute pumpkin seeds for the almonds. Also use a dairy-free, nut-free milk beverage. This recipe is from the ALDI Test Kitchen. 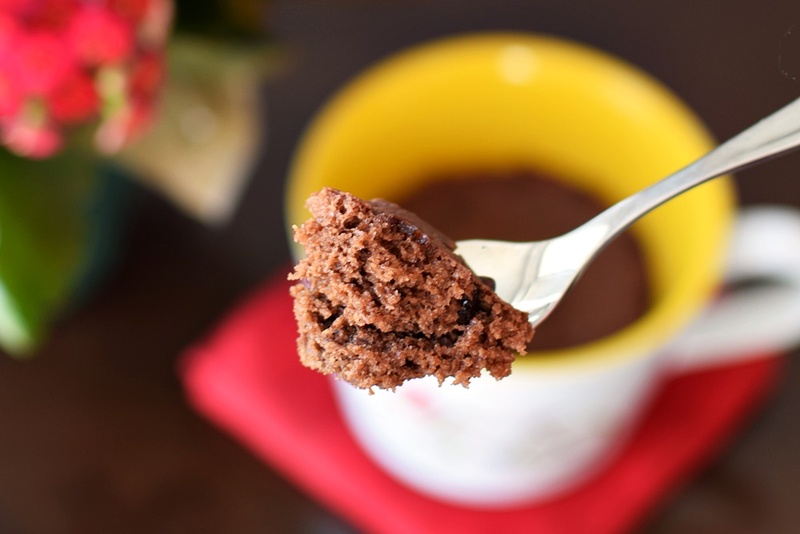 They use their brands for the ingredients, including Millville oats, Southern Grove chia seeds, Friendly Farms almond milk, SimplyNature organic honey and quinoa, Southern Grove almonds, and Moser Roth chocolate. 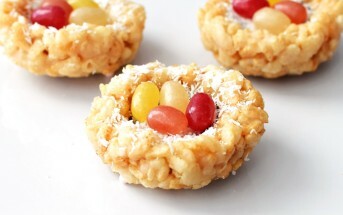 But I've linked up to other options in the recipe and below the recipe for those of us who don't have an ALDI near by! Preheat your oven to 400ºF and line a baking sheet with parchment paper or a silicone baking mat. Put the milk beverage, oats, 2 tablespoons honey, chia seeds, and salt in a mason jar, cover, and shake to thoroughly combine. Refrigerate the oat mixture overnight. In medium bowl, stir together the quinoa, almonds and remaining 1 tablespoon honey. Spread the mixture onto your prepared baking sheet. Bake for 10 minutes, or until the quinoa and almonds are lightly toasted. Let cool completely and then crumble the almond-quinoa mixture. Store it in an airtight container on the counter overnight. In the morning, divide the oats between 3 bowls. Warm the oatmeal, if desired. 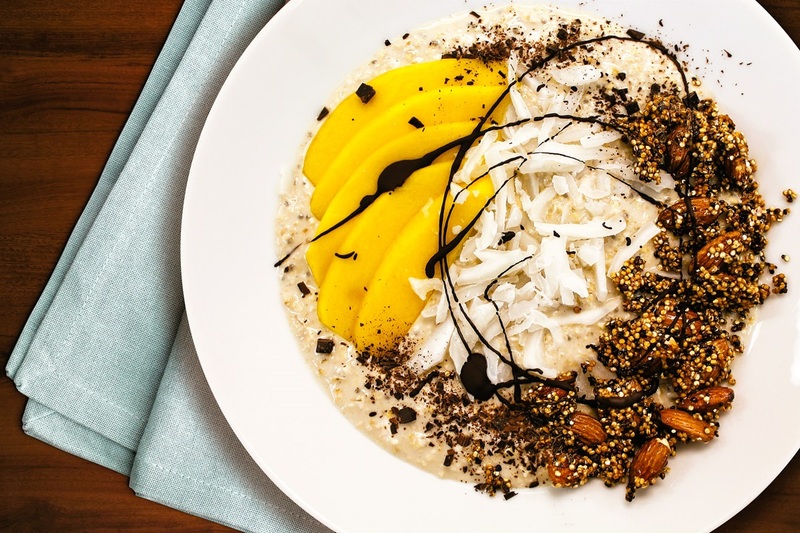 Top each with the quinoa crumble, mango slices, coconut, and shaved chocolate. Drizzle with the melted chocolate.